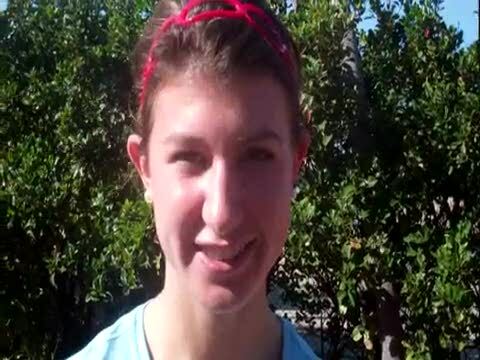 Aisling Cuffe a 2011 Cornwall High School (NY) graduate ran 16:53 to win the Foot Locker Nationals title in 2010. 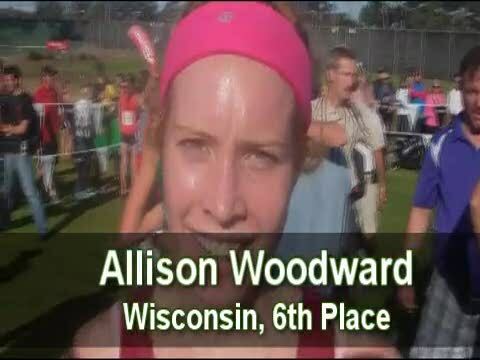 Her time is the ninth fastest all-time performance at Balboa Park in San Diego, California for Foot Locker Nationals. 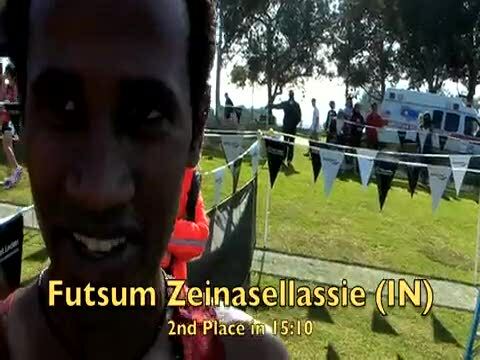 The 2010 Foot Locker Nationals are in the books! Aisling Cuffe and Lukas Verzbicas have put their stamp on history with equally dominating performances with winning times of 16:53 and 14:59. She finished last. Dead last. It wasn’t really close either. She finished 76 seconds behind the second-to-last competitor and over 5000 meters that is a significant distance. It’s more significant when it’s at the Foot Locker National Championships, where distances are covered faster than ever as the country’s best harriers all convene for one race each year to decide a champion. It wasn’t supposed to end this way for Emma Brink, though it never is for any qualifier at Foot Locker, yet in crossing that finish line with the slowest time on the day, Brink may have left an equally important mark on the race for many of her fans and peers. The Illinois State cross country champion and Detweiler Park course record setter (16:22 3 mile state meet performance) Kayla Beattie from Woodstock High School will be racing Saturday in her first Foot Locker Nationals appearance. The only girls' qualifier from the state of Illinois, Beattie is making her second consecutive trip to the West Coast in as many weeks following a 12th place finish at the Nike Cross Nationals in Oregon last Saturday as she came into the race as the NXN Midwest Regional champion. Beattie, an All-American in the two mile at the Nike Indoor Nationals last March, will be in contention for a top 15 All-American finish in San Diego and looking to finish strong with her Midwest Region teammates after a 6th place finish at the regional qualifier in Wisconsin. Hello everyone! This will probably be my shortest journal to date, because I only have to cover a few days. Due to my long winded nature however, I will probably find a way to make many words about 3 days. They have been very eventful, and a lot of fun. So here I go! Jack Driggs just competed in his third Nike Cross Nationals as he led the York (IL) team to another NXN berth with an 18th place individual finish in the race at Portland. 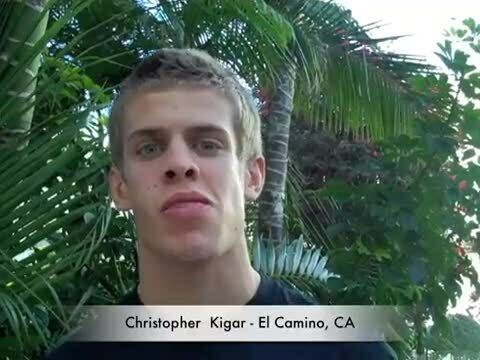 After hoping for a top 10 finish in Portland, Driggs will get an opportunity to redeem himself this weekend as one of the 40 finalists for the 2010 Foot Locker Nationals in San Diego. It will be his first time racing at Foot Locker Nationals, but Driggs has plenty of national caliber meet racing experience from his three previous appearances at NXN with his York teammates under the legendary coach Joe Newton. 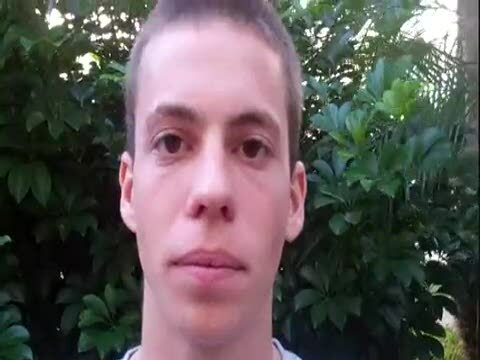 Driggs was ranked #17 in the MileSplit US rankings prior to NXN and is one of the nation's top returning milers after winning the Midwest Distance Gala mile last June with a 4:08 performance. 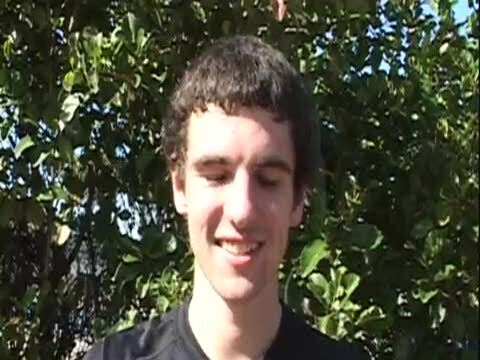 MileSplit US interviewed the Illinois state cross country runner-up Driggs heading into his trip to compete at Balboa Park for the Foot Locker Nationals. Greetings from sunny San Diego! Well, I am actually home now, but I wish I could be back out West where it was 80 degrees and sunny! I recently returned from the Footlocker Cross Country Championships, where I had the most incredible experience of my life. Now, in my final Milestat journal entry, I am excited to share the experience with you. I hope that everyone becomes inspired to work hard to qualify next year, as I can guarantee it is the best meet a high school runner can go to. Cornwall NY Head Coach David Feuer - one of the coaches guiding Foot Locker champ Aisling Cuffe since she joined the program in 2008. 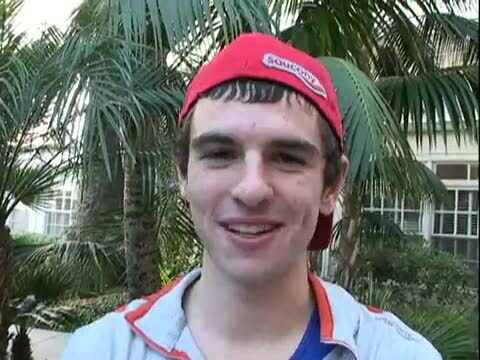 Combined girls race footage at the 2010 Foot Locker Nationals from Brandon Miles, Jason Byrne, and Julie Smoragiewicz of MileSplit US. New York's Eddie Owens, 8th in 15:25. 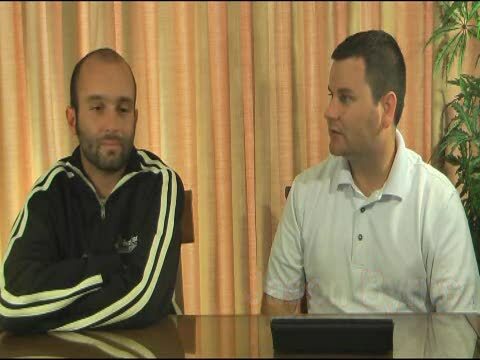 Interview with 3rd place finisher Tony Smoragiewicz of South Dakota. 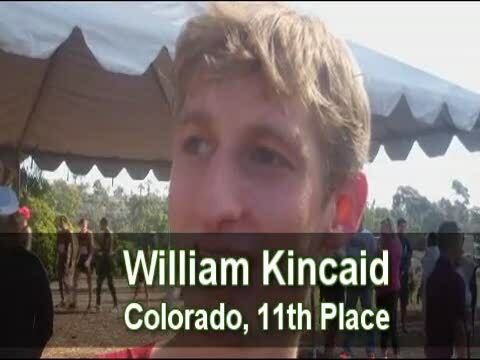 Jimmy capped his incredible season with the regional championship in Charlotte. He is going into Nationals with a national ranking, but very much an underdog. Despite all of his successes and the regional championship, he still enters under the radar. 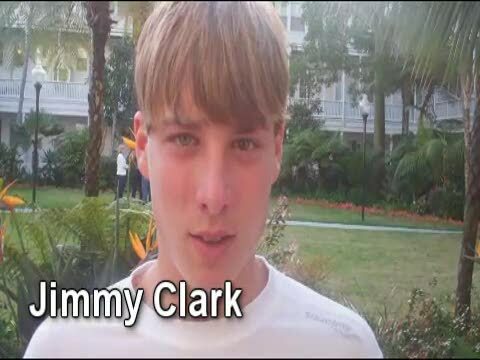 We talked to Jimmy on Wednesday to find out his emotions, strategies, and his goals going in. 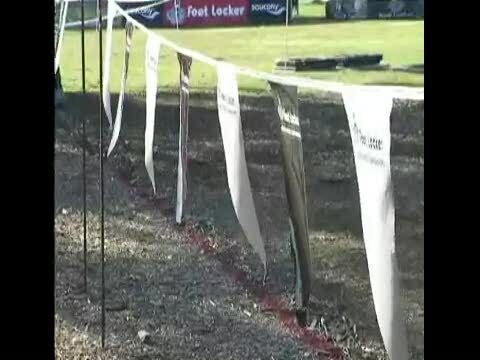 Combined boys race footage from Jason Byrne, Brandon Miles, and Julie Smoragiewicz of MileSplit US. 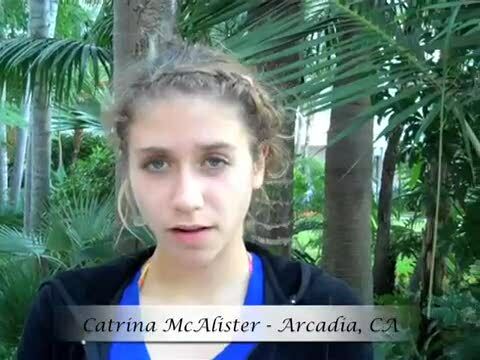 Catrina McAlister, Arcadia CA, Post Foot Locker National Interview. Ryan capped off a great one-loss season in Florida with a 10th place finish at Foot Locker South to capture the final boys qualifying spot from the region. On the eve of his flight west, we talked with him about what his strategy and goals. 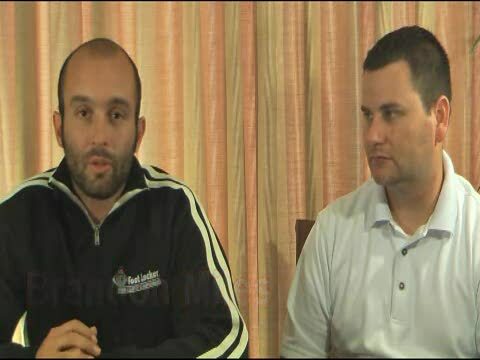 MileSplit US coverage team of Brandon Miles, Jason Byrne, Geoff Decker, and Margot Kelly provide in-depth analysis and pre-meet insight into the 2010 Foot Locker Nationals in San Diego, California. 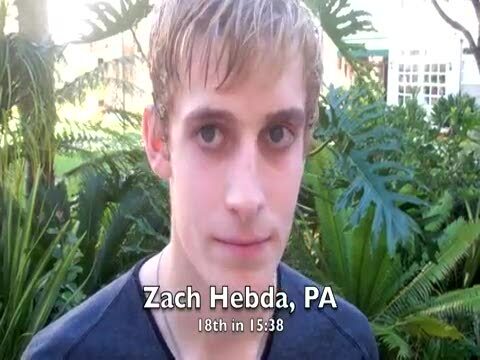 Broken down into a total of eight preview video shows discussing the top runners and qualifiers from each of the four regions. 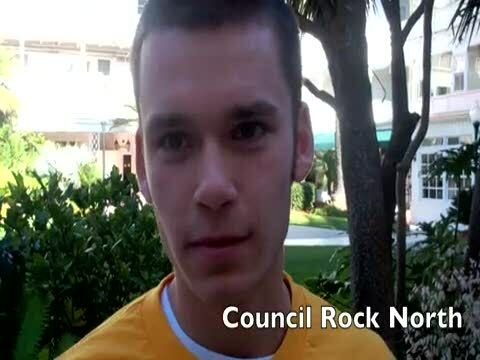 Interview with Council Rock North PA SR Chris Campbell. Photo by John Olson of scrunners.com Hi everyone! I can honestly say I am so excited to write this journal. I really think I could talk on and on forever about my experience this past weekend. 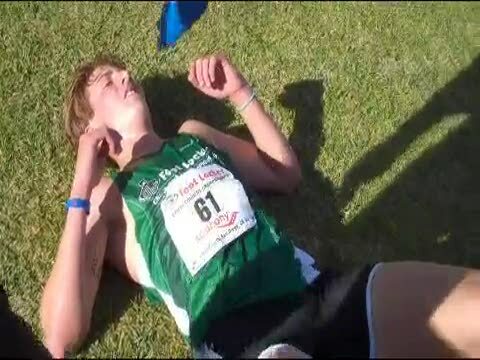 Crossing the finish line, knowing I earned a plane ticket to San Diego, was the best experience of my life. 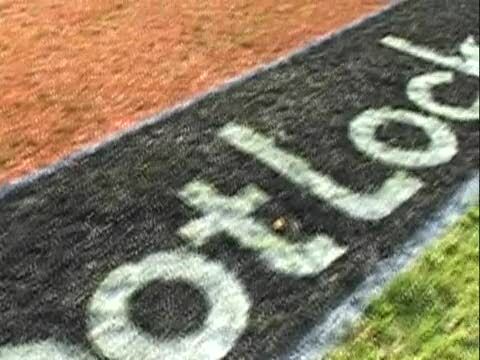 I don’t think anyone can understand the excitement I faced when I crossed the line. I had been dreaming of this moment my entire life. However, I never, ever thought it would happen. Last year, I crossed the line in excitement, getting a 20 second PR. However, I was 111th place in the seeded race. That year, my goal was to not place last. The emotion I felt when I crossed the line this year was all because of how far I’ve come. 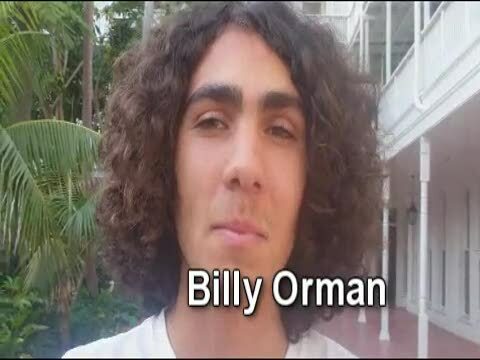 Will Run at Foot Locker Nationals Saturday Pelliccioni with his "ticket" to San Diego Foot Locker Nationals Video Pre-Show: South Boys When Morgantown High senior runner Cody Pelliccioni closes out his decorated high school career Saturday in San Diego, he will be doing something only four other West Virginia runners have done before him. John McGowan is the lone representative from the D.C., Maryland region and if he continues to do as well as he has all year, he should place well! 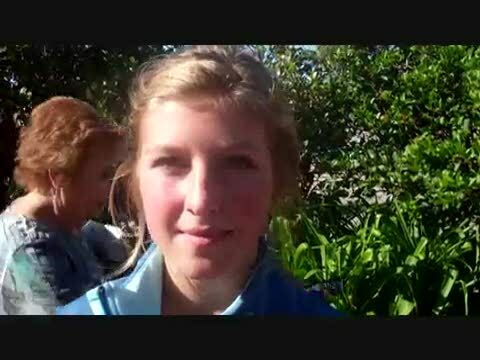 Pre-race interview with the two Virginian girls qualifiers Sophie Chase and Mattie Webb. 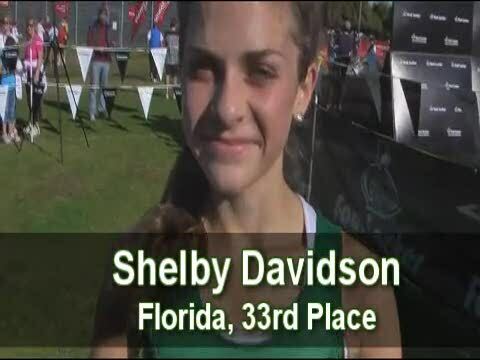 Shelby Davidson has rocketed from good distance runner to superstar this year. 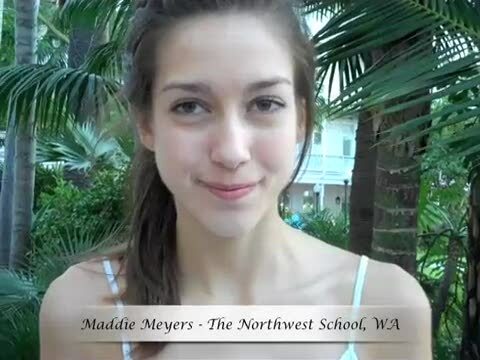 With a strong summer base and great work ethic, she earned a Foot Locker Nationals berth. We talked to Shelby on Wednesday night about the upcoming trip to San Diego. Emma Brink, senior at Sacred Heart in Louisville has qualified for the Foot Locker National Championship this weekend after finishing 5th at Foot Locker South. She ran a new career best time of 17:25. 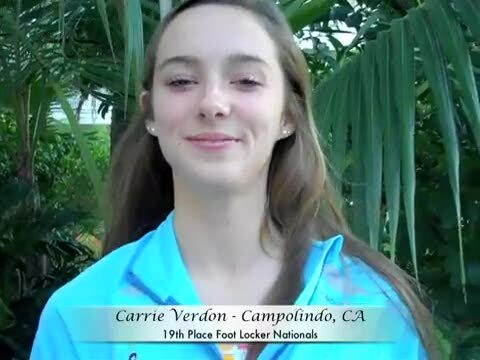 She took some time to answer a few questions about her race at Foot Locker South and what is going to happen in San Diego. Things you, too, may have wondered about and not have known. Blake Williams from North Carolina is the lone returnee from the 2009 South Region team (20th place) at the Foot Locker Nationals. 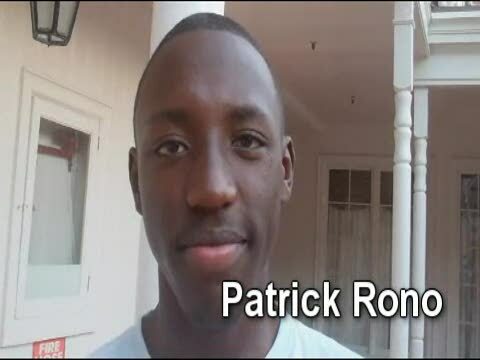 Brandon Miles and Jason Byrne sum up the South Boys and their chances tomorrow at Foot Locker Nationals. 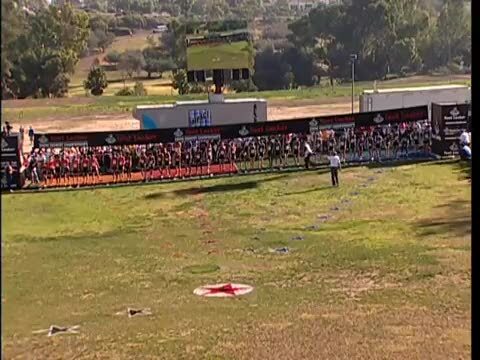 Qualifiers of all four regions - along with a few stars - gathered at Balboa Park, the site of tomorrow's Foot Locker National Championships, to walk the course. Cornwall, NY senior Aisling Cuffe finished her season undefeated by winning her first Foot Locker National title in San Diego, CA. Cuffe ran 16:53 to win by 34 seconds over Rachel Johnson from Plano, TX. 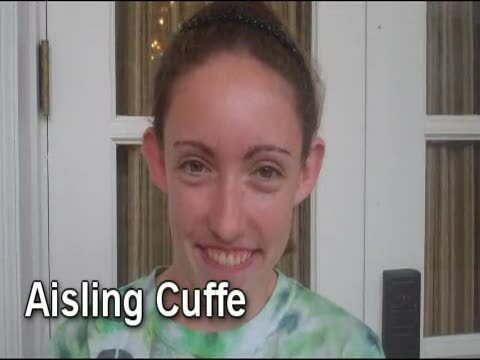 Cuffe becomes the first New York girl to win the title since Aislinn Ryan in 2004. Ryan ran 17:31 that year on the same Balboa Park course, though conditions may have been drastically different. Kelsey Lakowske leads a pack through the midway point of Foot Locker Nationals. Photo by Don Rich, penntrackxc.com. 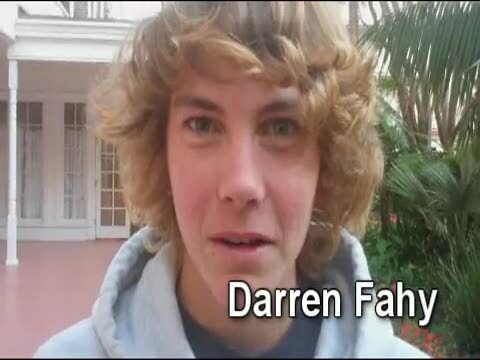 Some gave him a shot to qualify for Nationals, but it was anything but a sure thing. 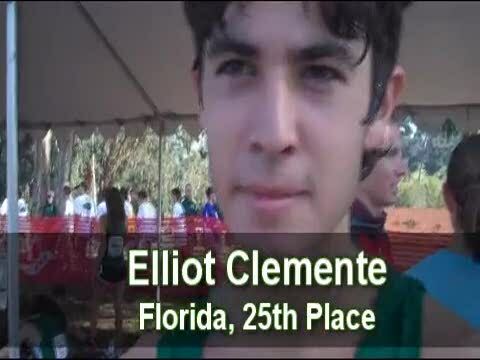 Clemente embraced the underdog role and ended up with a very impressive fifth place finish at Foot Locker South, a shiny new 15:03 PR, and a ticket to San Diego. Here's what is on his mind leading up to the trip. 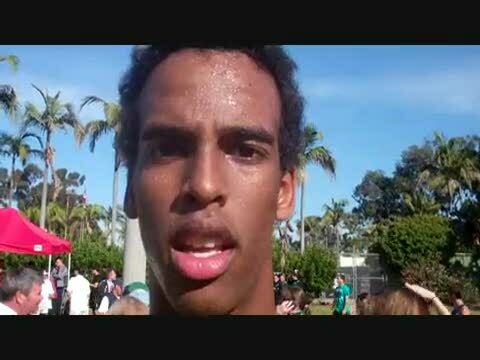 Pre-race interview with returning Foot Locker All-American (11th in 2009) Chris Walden of Indiana. 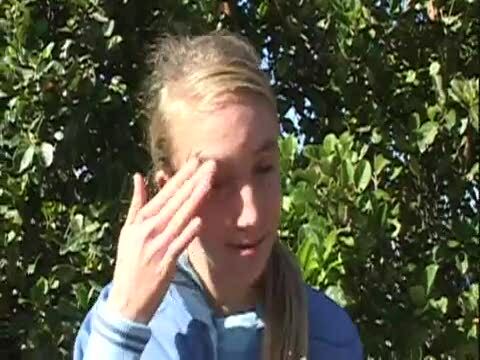 Lauren Mullins describes her long journey to San Diego and how it affected her in the race. 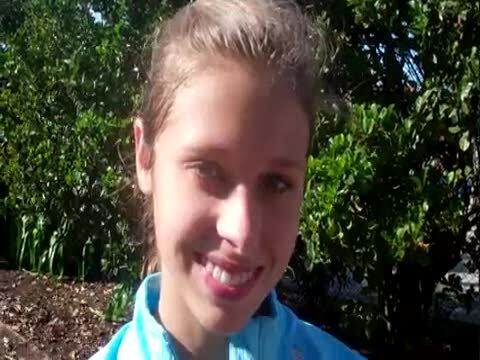 Western Albemarle (VA) senior Mattie Webb finished 29th with a time of 18:28. Shannon Osika from Michigan finished 8th in the 2010 Foot Locker Nationals with a time of 17:46. 2010 Foot Locker girls finalists practicing their introduction run thrus on Friday. Lake Braddock (VA) sophomore Sophie Chase finished 38th with a time of 18:53. Colleen Quigley of Missouri finished 20th with a time of 18:07. 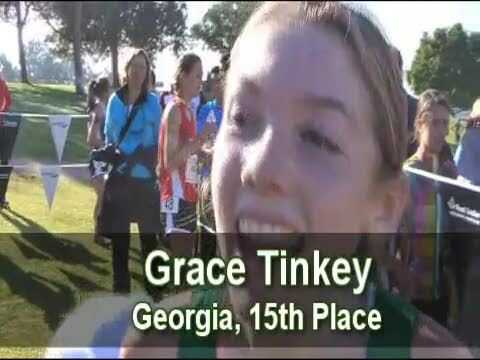 Waverly Neer of Indiana earned All-American honors with a 14th place finish of 17:51 at the 2010 Foot Locker Nationals. The first qualifier ever from a DC school, John McGowan placed 16th overall and just missed All-American honors. 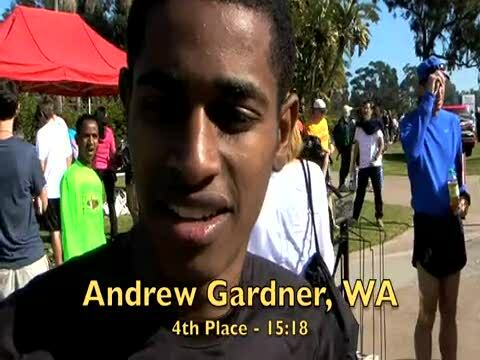 Annandale (VA) junior Ahmed Bile finished 14th for All-American honors at the 2010 Foot Locker Nationals. 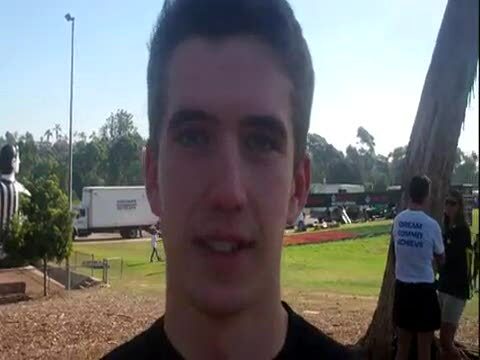 John Murray explains his early move that gapped the field by more than 10 meters. The pre-race favorite did not disappoint, with a dominating performance for the championship. 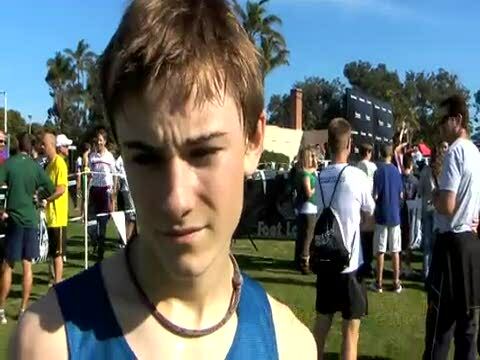 Douglas Freeman (VA) senior Silas Frantz finished 33rd in the 2010 Foot Locker Nationals with a time of 15:54. 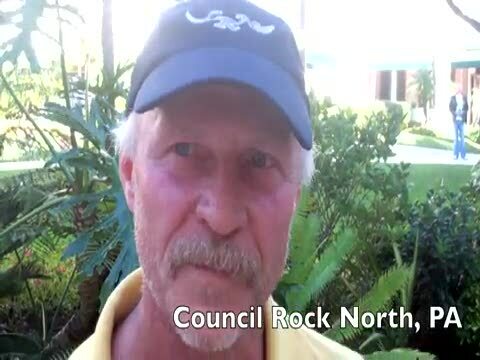 Interview with Chris Campbell, Council Rock North, PA coach Dave Marrington, who has coached three FL Finalists since 1999. 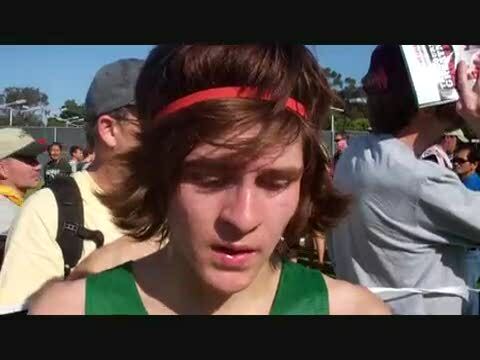 Post-race interview with Chris Walden from Carmel (IN), who earned his 2nd consecutive All-American honor with a 5th place finish at Foot Locker Nationals. Brook Handler of Rochester (MI) finished 18th place with a time of 18:02. Planes, trains and automobiles. 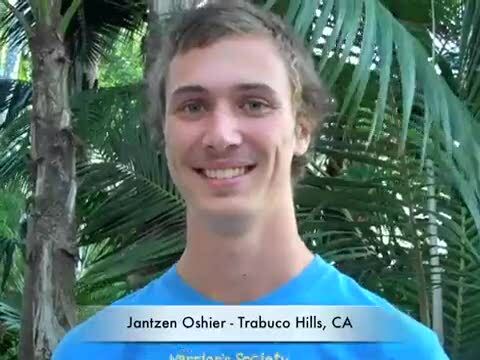 Chad Noelle discusses his amazing race just to get to San Diego. Two-time qualifier Blake Williams of North Carolina earned All-American honors with a 15th place finish of 15:35. Cody Pelliccioni of West Virginia finished 36th place with a time of 16:00. 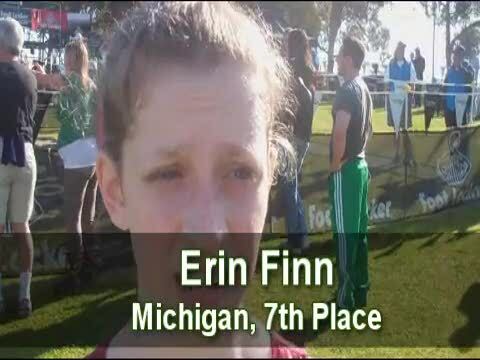 Pre-race interview with the 4 girls qualifiers from the state of Michigan. Finished in 2nd place after starting at almost the back of the pack. 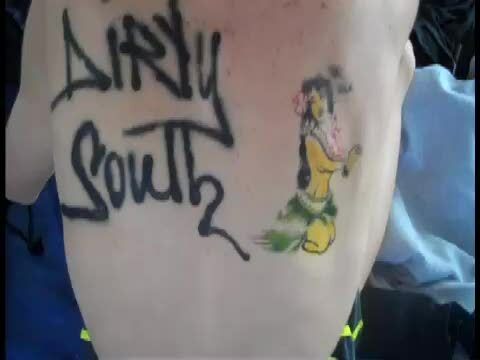 Impressively picked her way through systematically. Lacy ran a fever of 104 degree in the week leading up to Foot Lockers, causing her to miss two days of training.